Ovine Progressive Pneumonia (OPP) is caused by a slow growing virus that infects lambs and manifests itself as a disease after the lamb has reached two years of age. It primarily affects the lungs and udder, but may also involve other tissues. OPP causes chronic weight loss despite a good appetite; labored breathing; and a well formed udder that produces little to no milk. Opp can spread from older animals to lambs through the ewes’ milk. Some producers have established OPP-free flocks, but this can be very difficult and expensive to accomplish. Don’t confine young sheep in close quarters with infected adult animals. Cull affected animals early in the course of the disease. A blood test can be used to determine if a sheep is infected, but may not be 100% reliable. A Necropsy is the only way to determine with certainty if an animal is infected with OPP. There is no known effective treatment for OPP and the disease slowly leads to death. 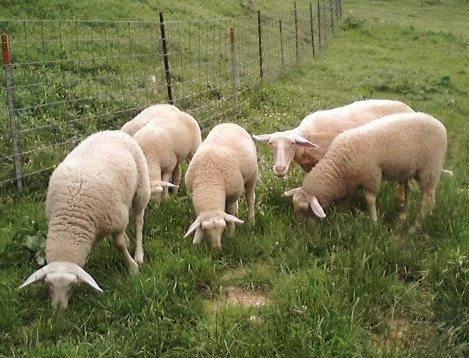 At Karras Farm, all our East Friesian Dairy Sheep are OPP- free flocks. We strive to produce the healthiest dairy sheep in the world.